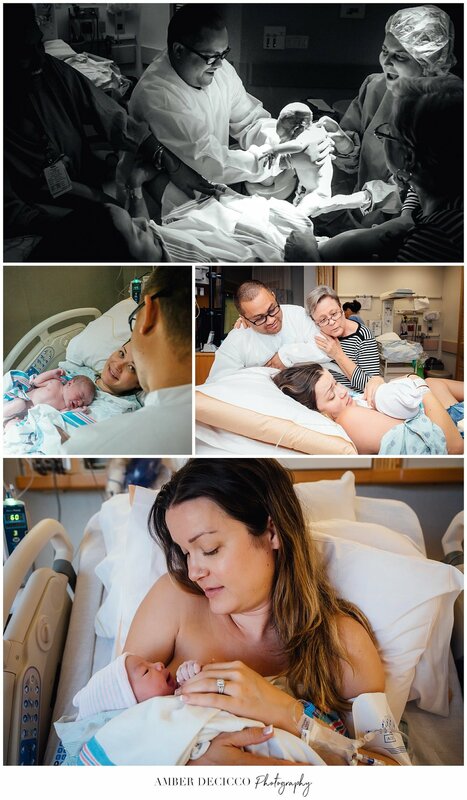 Photographing birth stories absolutely have a string tied around my heart. I arrived to the hospital just as Linn was getting her epidural. It was a busy day for babies being born, because all of the delivery rooms were full! We were preparing for her to give birth in the operating room! Her contractions stalled, and she was able to wait it out through the night until a room became available. Incredibly, just after we arrived into the delivery room, Owen decided to grace our planet! Congratulations Linn + Rob!!! My heart is so full for you!!! <3 Thanks so much for trusting me with documenting Owen's first day! He's as little as he's ever gonna be. There will be a last time he can fit into his mothers lap! As a photographer, it's my job to document what these days are like, so when you're feeling a little nostalgic you can pull up your babies birth video and hear your husband's excitement, and Grandma's cooing, and your son's first cry, and remember what it was like when he was that little. You are definitely gonna wanna make this one full screen. Kick back and relax a few minutes, turn up your speakers and enjoy! 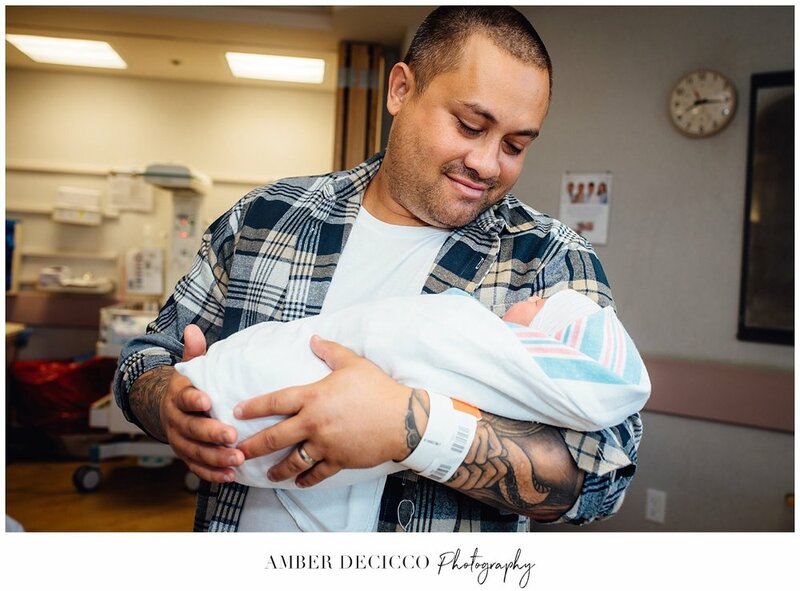 I'd love to chat with you about birth photography. Check out this page for more information, and don't hesitate to reach out with any questions you may have.